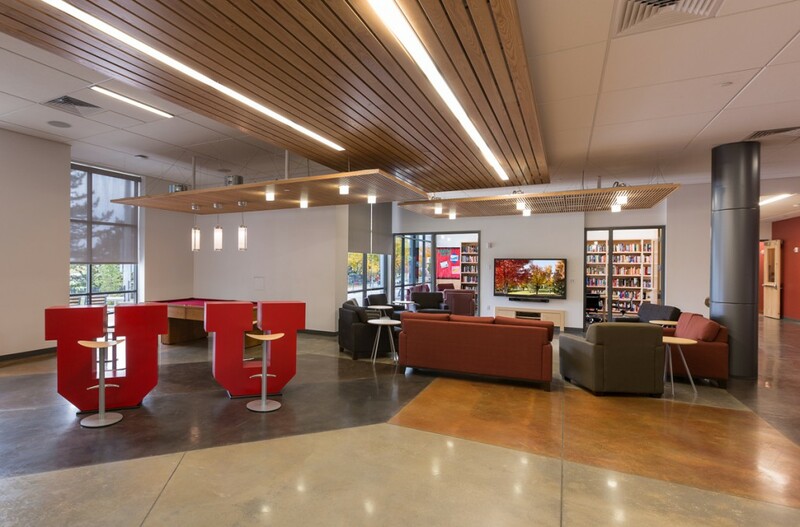 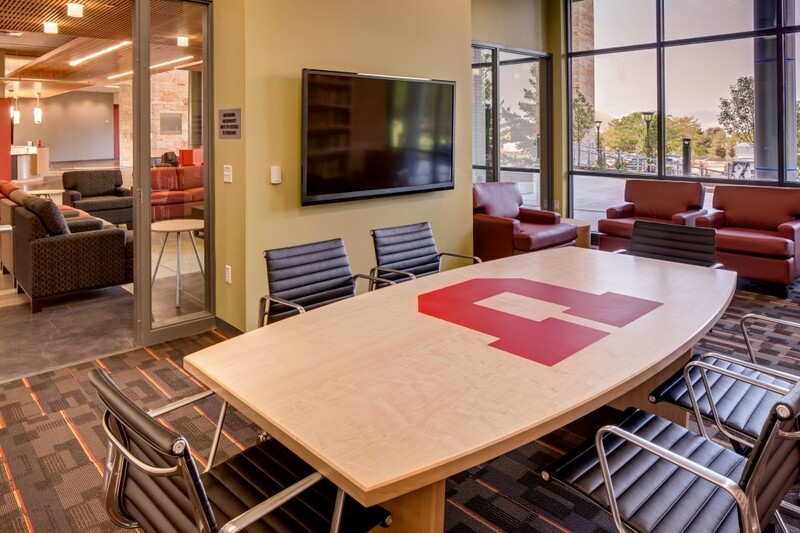 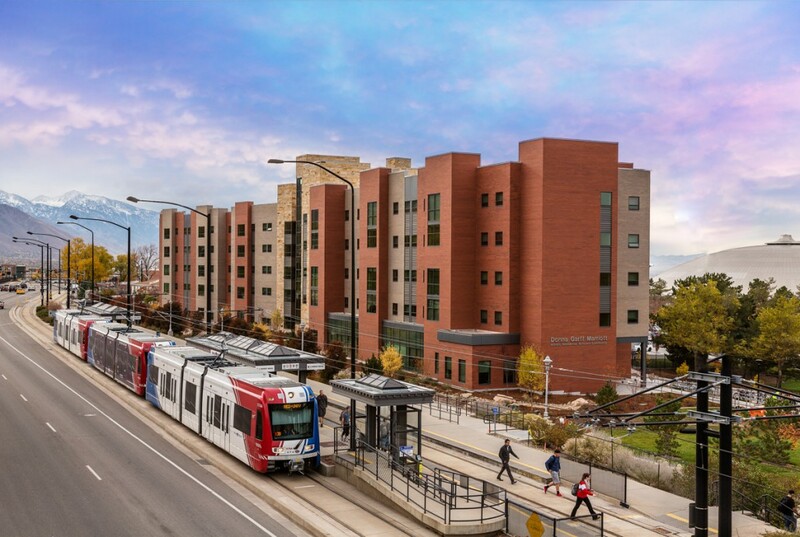 Potter Lawson teamed with Jacoby Architects to design the new LEED Gold certified Honors Housing project on the University of Utah Campus in Salt Lake City. 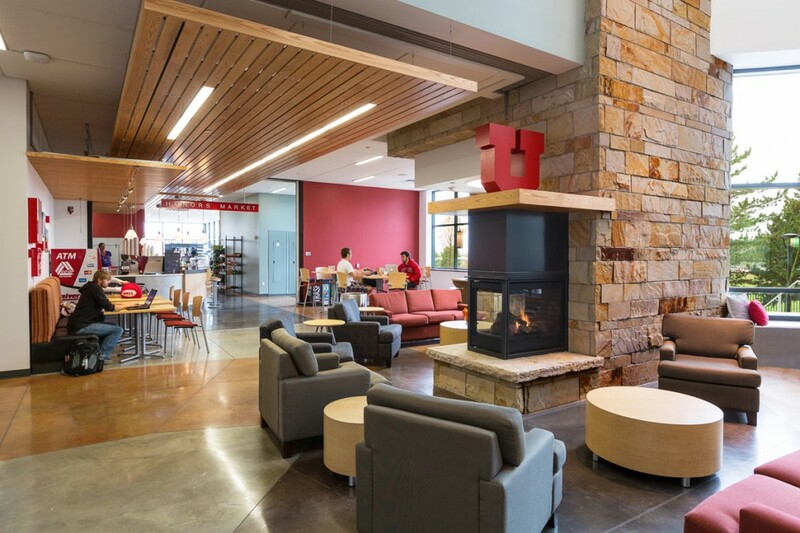 The facility is a transformative project for the campus. 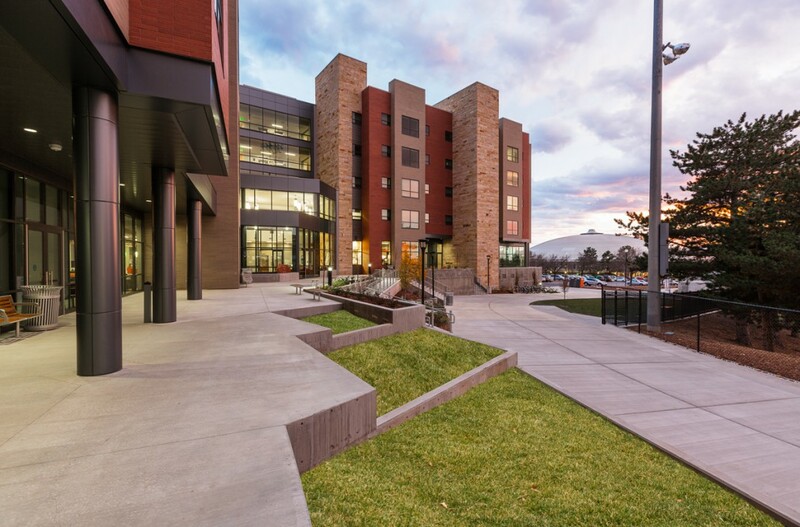 It improves the character of a high profile campus corner, establishes an east campus entrance, expands a transit and pedestrian node, and increases connectivity between nearby Ft. Douglas and the campus. 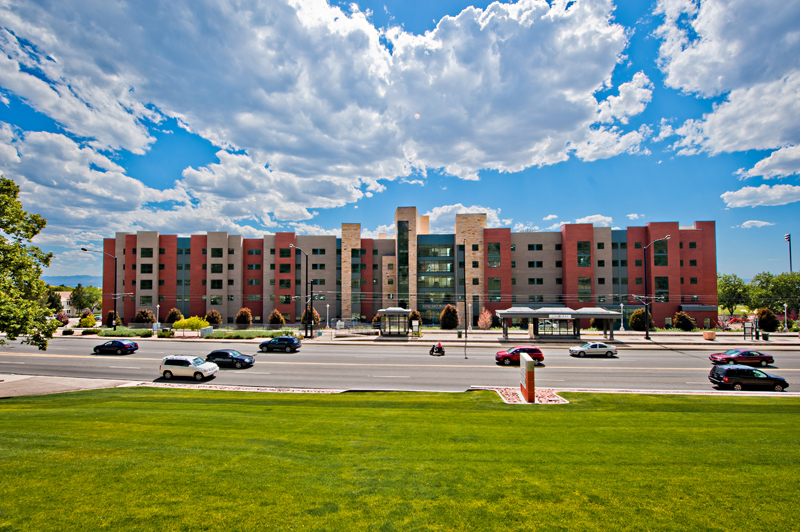 The 163,726 sf facility provides housing for 310 students in apartment style living. 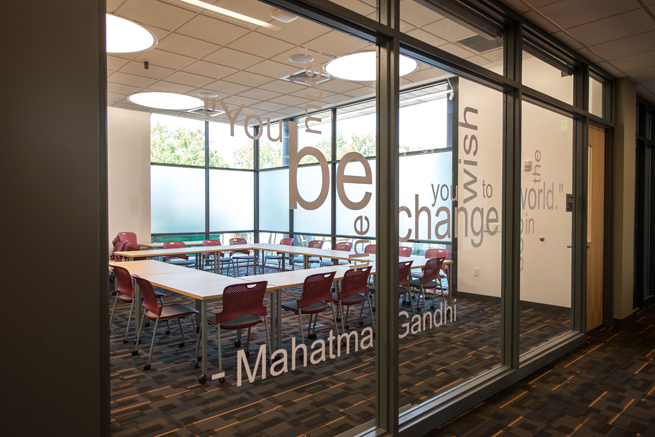 The building also includes student common areas, classrooms, workrooms, offices for staff, and 87 parking stalls.